To mark the French-language launch of legendary space MMO EVE Online, in October 2014 Cosmocover organised a press and player event in a Parisian art gallery. Hosted by Game One's Julien Tellouck, the press conference featured French astronaut Michel Tognini alongside the development team. The event created buzz and great coverage including a cover flash and article in French free daily newspaper 20 Minutes. In 2014, Cosmocover began producing developer profile videos for Unity. To date, videos telling the stories behind the games Max: The Curse of Brotherhood, Endless Legend and Monument Valley have been released, helping to inspire developers everywhere. To see more video work, click here. 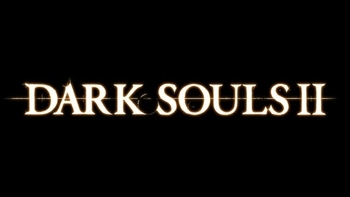 Cosmocover is continuing its video work for NAMCO BANDAI Games Europe with a series of behind the scenes videos for Dark Souls 2 (watch part 1 here). We also produced the Forging A Hero video which documents the real life creation of the Dark Souls 2 suit of armour. To date, the video has been watched more than 280,000 times on YouTube and GameTrailers alone, and in March 2014 it won the award for Best Original Content at the Game Connection Marketing Awards in San Francisco. Click here to check out more videos. In autumn 2013, Cosmocover executed the mainland Europe launch campaign for the remake of the cult classic Shadow Warrior on behalf of Devolver Digital. With the help of a great game and excellent campaign content, we secured over 200 reviews in more than 20 countries, shoring up the game’s reputation as a more than worthy remake and one of the best FPS titles of the year. Cosmocover has been working on SEGA’s mobile sensation Sonic Dash in France since March 2013, and the game’s appeal shows no sign of waning following the recent launch of the Android version. We’ve clocked up a huge amount of specialist and mainstream coverage for a mobile title, with an average review score higher than Metacritic – a pretty good result for the tough French media. Devolver Digital appointed Cosmocover to execute its PR campaigns across mainland Europe, including for the unforgettable 8-bit smashfest Hotline Miami. Working with a limited budget, we helped to ensure the cult hit status of the title in Europe and shore up its sparkling 84% review average. 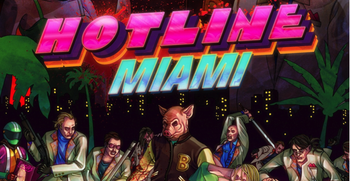 Hotline Miami 2 looks like being an even bigger and bloodier hit. 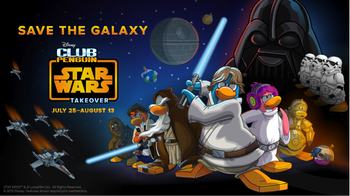 Cosmocover worked with Disney in France to promote the 2013 Star Wars takeover in its Club Penguin online game world. We secured partnerships across high profile kids, parenting and mainstream online media, including M6, M6Kid.fr, Teva.fr, Paris Premiere, Femina, Magic Maman and more. The result was massive exposure of the in-game promotion to a potential audience of more than 50 million. Since 2012, Cosmocover has worked with SEGA to promote its digital and mobile titles in France. 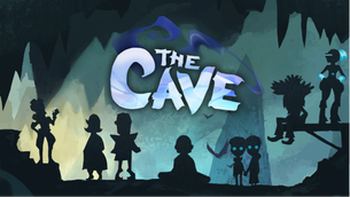 For the launch of The Cave from the legendary Ron Gilbert and Double Fine, we staged a quirky event in Paris and blitzed the gaming and mainstream media. Helped of course by a fantastic game, the result was a massive 500+ coverage, huge awareness, and a French review average 8 percentage points above Metacritic. We provided NAMCO BANDAI Games with marketing consulting and content services for their global Tekken Tag Tournament 2 campaign in 2012. 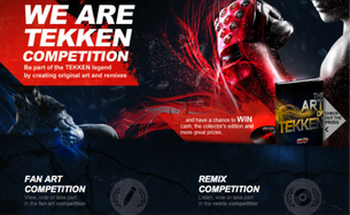 Among the deliverables were an online social media remix and art competition, an exclusive 50 minute documentary shot in Japan, and the "WE ARE TEKKEN" tagline that underpinned the entire campaign. Cosmocover provides French, Benelux and occasional Italian PR services to InnoGames, working across its entire catalogue of extremely popular cross-platform MMO games, including Forge of Empires. Functioning as their local arm, we develop ideas, localize communications, run promotions, execute events and evangelize their games, resulting in blanket coverage and a big awareness uptick. Video production is another service that Cosmocover offers, including trailers, dev diaries and making of documentaries. 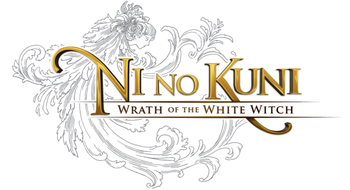 Recent work includes trailers for Tekken Card Tournament, a series of behind the scenes videos for Ni No Kuni, and dev diary videos for Dark Souls. Click here to check out more videos.